I have a strong sense of home and it’s unsettling to be constantly on the road without a base in Australia. I’m finding museums comforting, like a known reference point from which I explore new places. I’ve been thinking around the idea of the museum as a home, where the two functions are equally important. I found this at the Castle of San Nicola de Thoro-plano in Miaori, a museum and also the home of Mr Crescenzo de Martino. Right on cue, Regan Forrest explored Zahava Doering’s concept of the museum visitor as ‘guest’ in a larger discussion about empathy. Regan points out museums shouldn’t be maintaining this type of relationship with their visitors, but the guest idea resonated with my thinking about museums as home. Doering’s concept has parallels to the idea of the house guest. “Museums take responsibility for their visitors and want to provide them with beneficial experiences. “This “doing good” is usually expressed as “educational” activities and institutionally defined objectives.” Likewise, house guests enter a home and are receptive to the homeowner’s hospitality, the provision of a beneficial or positive experience. The distinction between the two roles of guest and homeowner revolves around belonging. This is the perfect relationship with which to examine a visit to San Nicola. When visitors arrive at San Nicola and ring the bell, Mr Martino answers the door. Access to this museum is mediated by a tour from the homeowner and his hungry cat, who follows its owner everywhere. Mr Martino speaks only Italian, but he ‘does good’ by his visitors, providing an educational experience by delivering a prepared script for English-speaking visitors. Questions in English are difficult to manage so the communication is predominantly one-way. Mr Martino is the uppermost layer in a long history of lives lived at San Nicola over thousands of years and all have left their trace. 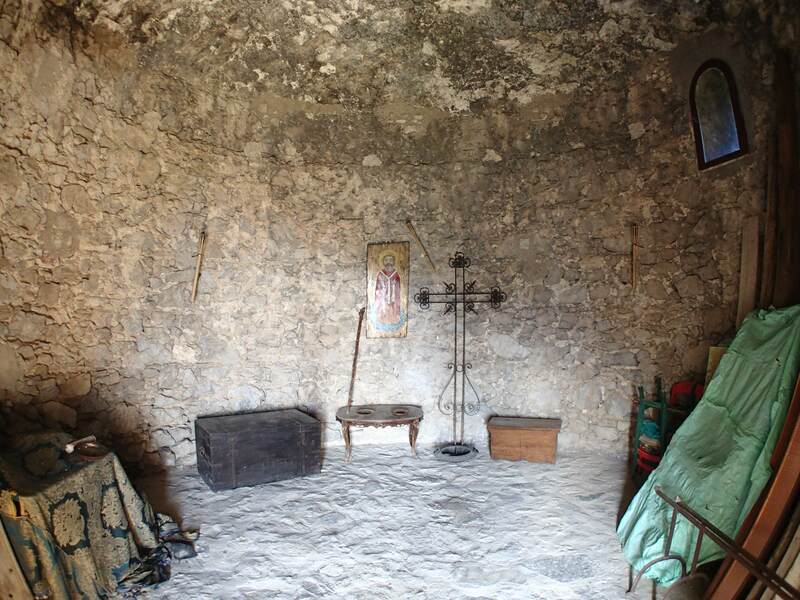 The castle, built in the ninth century but now ruined, today includes three rooms which have been set up to evoke their historic functions – a bedroom, chapel and armory. There’s not only medieval ruins but domestic, defensive and religious artifacts dating from Greek, Roman and Etruscan times. These objects are displayed here not by period but type. 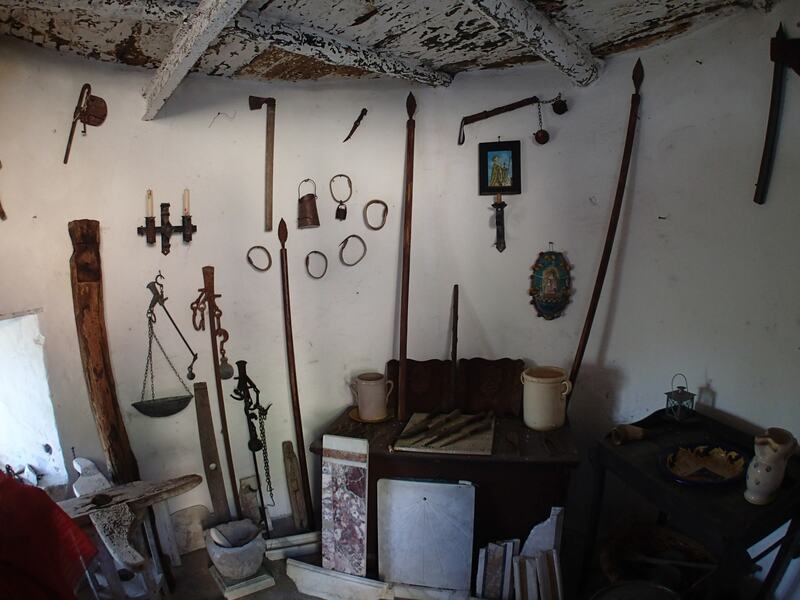 Coins, tools, weapons and religious artifacts sit together, irrespective of when they were created, so the continuous strands of private, work and spiritual life flow from one era to the next. 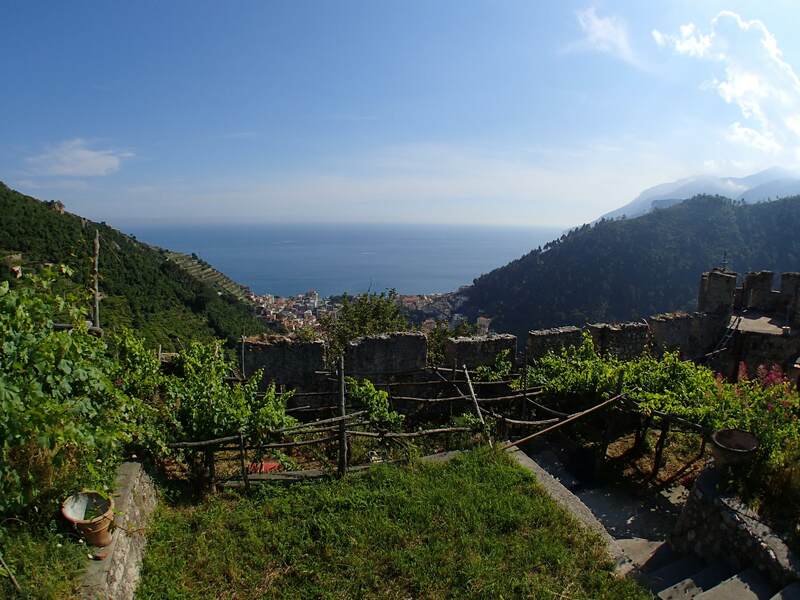 Mr Martino is a lynchpin holding the history of San Nicola together with the present, maintaining the space to the same ends as his predecessors – as home. He repaired the medieval stone oven and uses it for cooking his pizzas now. The chapel displays medieval religious objects which Mr Martino uses for his personal prayer. Seeing how Mr Martino uses the space now is part of this museum. His love for the place is obvious even through language barriers; he grins when visitors tell him he’s lucky to call the castle home. I’m not sure if he’s aware, but his sense of home breathes life into the history of San Nicola and keeps the space alive. I have to confess I didn’t visit this museum. My partner found it accidentally as he sought out Amalfi views. He shared his experience of being a guest at San Nicola as we sat down to dinner that night, on our seventh anniversary. 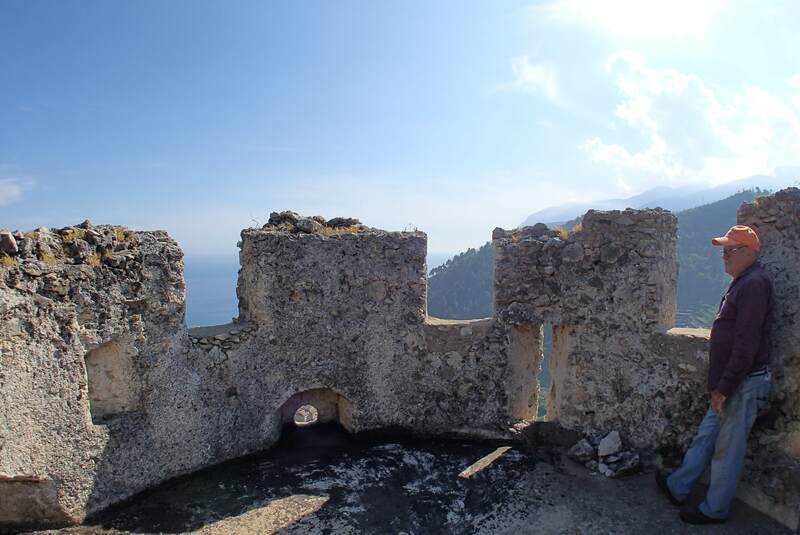 He explained the castle, Mr Martino and his home and as he talked, I saw the ancient walls of Miaori rise up in front of our table, blocking our view of the beachfront. I felt connected to the layers of Italian history for the first time. What was it about this experience that made me feel so connected to this place? Was it the love in the air that night? I thought about my lack of home, the love between me and my partner and how it feels like a base that travels with us. In that moment, I empathised with Mr Martino, connecting with his love for Miaori and San Nichola and his sense of belonging which he so willingly shares with his guests. 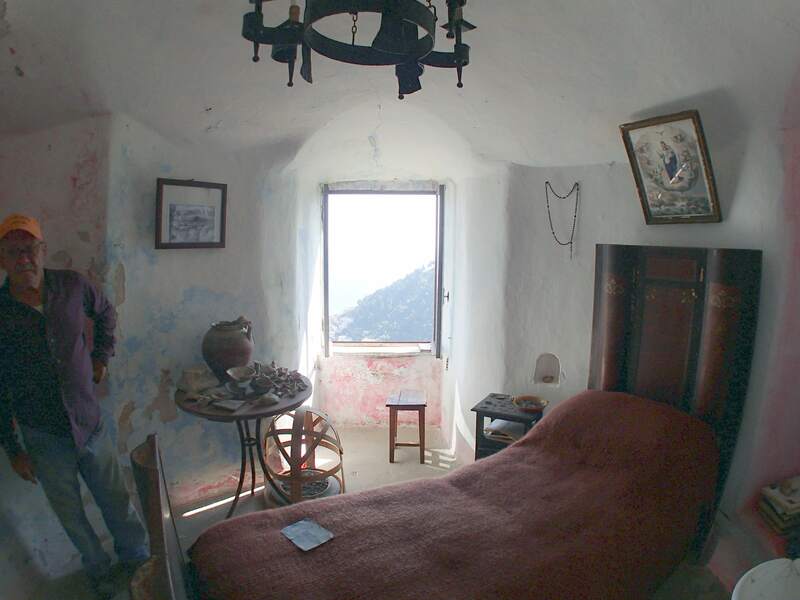 When trying to determine an alternative visitor relationship to that of guest, I wonder if museums would benefit from visitors feeling a bit like Mr Martino does about San Nicola – like they belong? Is it the transparency with which Mr Martino opens his home which allows visitors to empathise with his sense of belonging? I’m wondering in what ways museums can provide a broader sense of place for visitors while also enabling them to feel a sense of belonging in the museum? What do you think? I love this article more than the rest. The pictures are amazing!